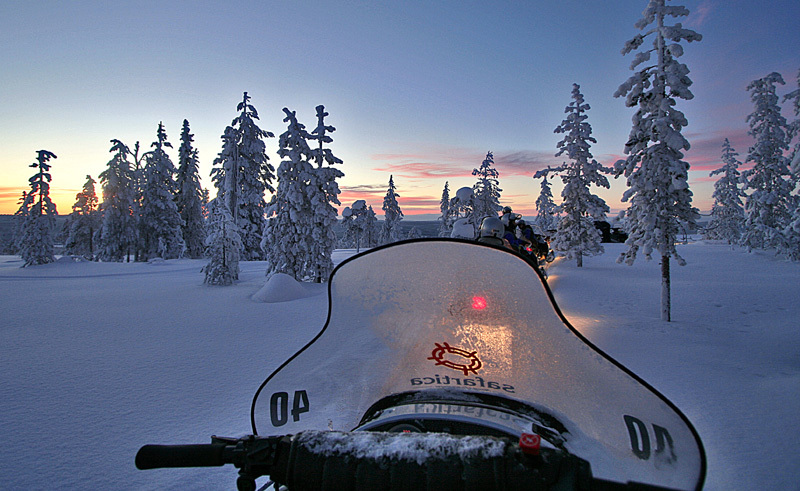 When the night falls hop on to the sled behind the guide’s snowmobile and take a ride into the dark night in search of clear skies and bright stars overhead. While the guide is concentrating on the driving you can focus towards to northern sky on the look for northern lights. Fingers crossed! Hot drinks are served along the way. The distance covered is approximately 25km. Winter clothing provided.